Dr. Hong Sze Ching is a Consultant Obstetrician and Gynaecologist who graduated from the National University of Singapore with a Bachelor of Medicine and Surgery in 2005. She went on to complete her specialist training in Obstetrics and Gynaecology with KK Women’s and Children’s Hospital. Thereafter, she attained membership with the Royal College of Obstetrics and Gynaecology (UK), was conferred a Master of Medicine in Obstetrics and Gynaecology (Singapore) in 2011, and obtained her Specialist Accreditation in 2013. Dr. Hong is a certified colposcopist and a member of the Society for Colposcopy & Cervical Pathology of Singapore, as well as Obstetrics and Gynaecology Society of Singapore. She is also a Fellow of the Academy of Medicine, Singapore. Dr. Hong has been a consultant with KKH Minimally Invasive Surgery (KKH MIS) Unit since November 2013. In 2015, she was awarded a Health Manpower Development Programme fellowship to further her training in this area at The Ottawa Hospital’s Minimally Invasive Surgery Unit. There, she underwent training in her areas of interest; namely, the management of endometriosis and advanced laparoscopic surgery. Apart from laparoscopic work, she also specialises in obstetric care and management of general gynaecological conditions. She was awarded the SingHealth Health Quality Service Awards: Silver in 2015, in recognition of her dedication to patient care. She is currently a visiting consultant to KKH MIS Unit. On top of her clinical work, Dr. Hong takes part in many undergraduate and postgraduate programmes educating medical students and residents alike. She was appointed Adjunct Instructor of both NUS Yong Loo Lin School of Medicine, and Duke-NUS Obstetrics and Gynaecology Academic Clinical Programme. She also serves regularly as a trainer in local surgical workshops and congresses. She has written book chapters and authored several publications in peer-reviewed journals. Dr. Hong is an advocate of natural birth and breastfeeding, and firmly believes in supporting women’s personal choices with regards to their health. Dr. Hong currently operates at SOG – SC Hong Clinic for Women, located at Mount Alvernia Medical Centre. 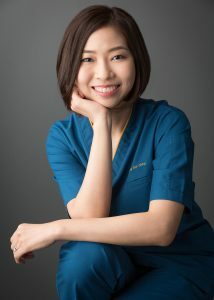 She also practises at Farrer Park Hospital, and SATA Commhealth Woodlands Medical Centre.